The year 2019 has been named by the UN as the year of indigenous languages, and to commemorate this Language Landscape will be hosting a series of events around the topic of what it means to speak an ‘indigenous language’, multilingualism and the movement and representation of language around the world. 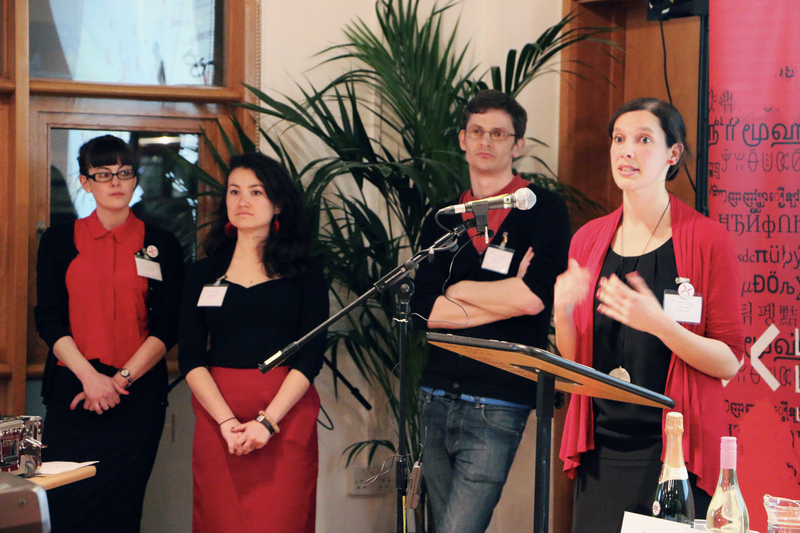 These events will be hosted in and around London, Oxford, Cambridge and Glasgow, and if you are interested in hosting your own Language Landscape event, we are open to the opportunity to collaborate wherever you may be in the world! 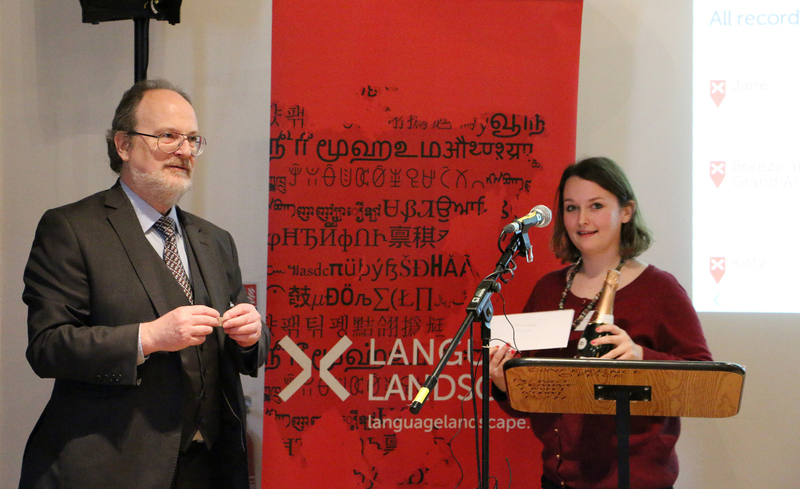 Since Language Landscape (LL) came together in 2013, our aim has been to challenge preconceptions of where languages might be spoken around the world, and notions of monolingual nations. This has been done by thinking about how language can be represented in a visual form in a geographical context. Thus, when visiting the LL map, it is possible to find examples of language being used ‘outside their country of origin’. A search for Chinese on LL for example reveals that there is representation in at least ten different countries. Likewise, the project Czech it Out! boasts examples of spoken Urdu, Slovenian, Bulgarian and Russian in Czechia. In this way, viewers can also find examples of indigenous and endangered languages like Náhuat-Pipil in El Salvador, Tz’utujil in Guatemala, Taiyal in Taiwan, Nez Perce in the USA to name a few examples. In addition to the events which will be published at a later date, we are also starting a new blog series titled ‘Meet a Fieldworker’, where we will speak to different types of researchers who have worked with indigenous language and speech communities around the world, and who can offer a unique insight into what language means to people of diverse communities. We start the blog series with an interview with Willem Adelaar (WA) Professor Emeritus of Amerindian Languages at Leiden University and we discuss how linguistic fieldwork on languages has changed over the past few decades. Adelaar conducted fieldwork in the Andean and Amazonian regions of South America in the 1960-70s, and he talks about how technological advances have changed the way in which research is conducted, as well as how ethical considerations have expanded to include collaboration with members of language and speech communities as well as researchers from other disciplines. We hope you enjoy read! ED: How are things different now compared to when you conducted fieldwork? WA: If I had to do fieldwork now, I would need to familiarize myself with a number of technical issues, including modern ways of archiving. I could do fieldwork like I did in the 60s/70s, but we used to build our archive on paper, in a notebook and on system cards. Now, for example, you are expected to use a computerized archiving programme, which I would have to learn. My recordings are now in a digitized archive, but this is thanks to project funding specifically focused on archiving pre-digital data. I was a guinea pig of sorts. When it comes to fieldwork however, people now have to prepare for it in a different way. ED: Are the methods of fieldwork different? WA: In a sense they are. More technical assets are now available. We used to rely on fieldwork manuals such as Hockett, Samarin, Pike and Nida. We used relatively large and clumsy tape recorders, which sometimes would refuse service in the sunshine. But technology has developed since then. We now have advanced recording equipment, computers and video recorders. Handbooks such as the one by Gippert, Himmelman, and Mosel provide an overview of the possibilities of modern language documentation. However, continuing to conduct this type of field-based research also presupposes large and complex documentation projects for which the funding has now largely dried up (e.g. Volkswagen Foundation and ELDP). Fieldwork in the US particularly is more successful in smaller projects. ED: How have ethics changed? WA: Ethics was not an important issue in the past. Now it is more relevant, in some countries such as Australia, and also at EU level, but not necessarily so much in other countries like the Netherlands. Sometimes the issue of ethics still requires a content, and this may take time to resolve. ED: Why might ethics be an issue today? WA: Researchers now have recognized that previous ways of working were insensible to ethical considerations. We now recognize that we should give something back to the community so now we attempt to do so. But that I would argue is plain decency. So before the view was that you couldn’t do anything because you were only paid for research, without space for additional activities focused on speaker communities. Today people are free and less free in some ways. There are academic restrictions (teaching obligations, administrative tasks, etc. ), things are more organized, there is more competition. There is still no organized system today for providing or giving back to the community. Projects are temporary, they create an infrastructure for 2-3 years, then disappear. If you are in a situation where you can’t give back, then you simply don’t. No one else will do it for you. But modern researchers do what they can to give back to the communities. These are also more demanding and rightly so. From my own experience of gathering lots of data over several years, you would hope that people in the communities would become interested and involved in the documentation and the revival of their languages. This interest however has to come from the locals themselves. Together, you can combine the know-how and eagerness for action e.g. within indigenous populations who speak the language. It is true that the exposure of speakers to the presence of linguists in their communities has often changed their attitude and made them more conscient of the importance of rescuing a linguistic heritage. Another thing that has changed very much is the idea of multidisciplinary research. Before you hardly talked to each other, as a linguist you rarely met an archaeologist or an anthropologist. You were completely different creatures. Now you at least try, but it still isn’t easy. Money also plays a role within this dynamic. If you have access to a lot of funding, you also have to use it in an adequate way. You can form a diverse research team. It gives you the feeling of strength and support. We should also listen to each other and learn from each other. Look at historical reconstruction for example. Before, our research was focused on rigid synchronic description, but now you know for example that a phoneme is no more than a theoretical construct and that each sound has a history. The historical background is significant for understanding the present. Morphological and phonemic structures differ, and you can see there is an ongoing change taking place in a language. We realize this more now whereas before it was a deadly sin to combine synchronic and diachronic research. Now you can think about the history of what you are seeing. Similarly if you are looking at a specific language, you need to consider the context of the languages that surround it. Language contact is part of your perspective on language. In my case, I would have liked a local group to take over the work I did. As a European in my case, research was for me and for linguistics. If you are dealing with a large community, you cannot talk to everyone. But really the impact of research has to spread like an oil stain. It has to sink into the local environment, and this is what is often lacking. In some parts there are local interested and concerned people, for instance, teachers or retired civil servants who try to do something with the local language, but this can also go wrong e.g. in the case of the Cuzco Language Academy, whose authority is not accepted by linguists. For this to work, indeed, local efforts should also collaborate with science. Nonetheless continuity is more easily obtained with such institutions. Furthermore, it is often easier to do this with smaller groups as it is being done in Brazil, where language experts within a specific language community can receive training and as a result, can always be available to the language community. But this is more difficult with larger language groups like the case of Mexican Nahuatl. More information about W. Adelaar’s work can be found here. This entry was posted in meet-a-fieldworker, Uncategorized and tagged Amazonian languages, collaboration, ethics, fieldwork, indigenous, indigenous languages, interdisciplinarity, IY2019, language research, meet a fieldworker, multilingualism, Willem Adelaar on 22 December, 2018 by Ebany Dohle. The days are short and cold in London in January, but our post-holiday blues have been brightened by some great new recordings on Language Landscape. In this new regular feature, we’ll round up some of the materials that have been added to the site in the past month to give you a taste of what’s happening on the map. According to the description, this is an expression said every New Year’s Day in certain parts of francophone Louisiana. Traditionally, children would go up to old people and say “Bonne année, grand nez. Fouille dans ta poche et donne-moi de la monnaie.” (roughly translated as: “Happy New Year big nose. Dig in your pocket and give me the money”) It may sound rude, but used in this context, it’s not. The adults would always play along. We also have a recording of the poem/song ‘Zozo Mokœr’ by Major John Augustin. It was originally published in the New Orleans Times-Democrat and can be found in the book ‘Louisiana Folktales’ by Alcée Fortier (originally published in 1894). We’re really excited to see the first recordings of an Indo-European language in the United States (yes we know US English has already been added to the map several times, but nowhere in the US yet!) The recordings are mapped in southern Louisiana, the spiritual home of Louisiana French. These aren’t the first recordings added in the US, however – that distinction goes to this recording of Mekeo, followed by this one of New Perce. Like Louisiana French, Nez Perce is mapped where you would expect it, in the northwestern United States, but the recording of Mekeo is mapped many miles from the ancestral home of the language in Papua New Guinea. These recordings and their locations go to show that the language diversity present in the US remains tantalisingly uncharted in many respects. Dialect variation in US English is fairly well documented, and the distribution of some of the larger minority languages spoken in the US has been mapped, but there is still so much more to find out. Also added this month is this beguiling video of Frysk from the Praat Mar Frysk YouTube channel. Frysk (or West Frisian) is a West Germanic language spoken in the north of the Netherlands. The video is an example of ‘surprise poetry’, where a speaker recites a poem in public with no prior warning to their audience. It is part of Praat Mar Frsyk’s programme to encourage more people to use the language in the public sphere. 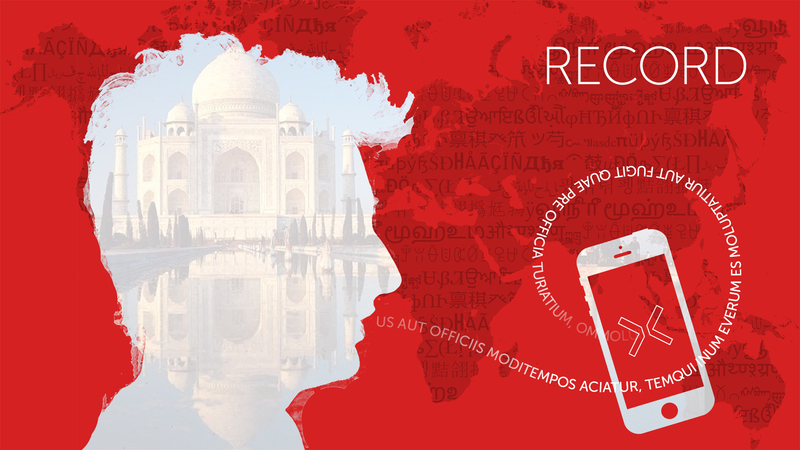 We always welcome positive attempts to raise the status of minority and endangered languages and fully support the aims of this innovative organisation (also have a look at their Frysk-Dutch translation app). Finally we are excited to announce our very first recording in Colombia! It is of a song in Murui, an indigenous South American language spoken by around 8,000 people in Colombia and Peru. The recording was made in Tabatinga in the far south of Colombia, close to the borders with both Peru and Brazil, by Kasia Wojtylak, a PhD student at James Cook University in Australia. Like Kasia’s recording, many of the recordings of endangered and minority languages on Language Landscape have been added by field linguists and anthropologists who have worked with indigenous communities. It’s great to see so many academics sharing their research in this way. 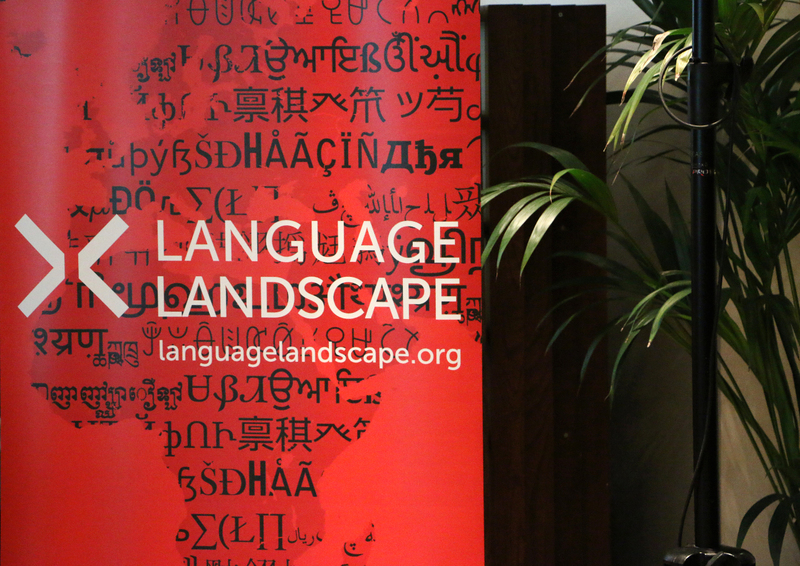 We hope you enjoyed our round up of some of the new recordings added to Language Landscape in January 2015. Please add your thoughts and comments below. If you’d like the chance to be featured in next month’s round up, please add a recording to the map. You can find lots of hints and tips on making and adding recordings on our Help page. See you next month! This entry was posted in Uncategorized on 31 January, 2015 by Sandy Ritchie. We’re excited to announce the launch of our new How To video! We wanted to make a video which both promotes Language Landscape and also introduces it to new users. If this is your first time on LL, you can find more information about who we are and why we’re doing this on our About page, our FAQs page and also in this blog post. The How To video was made possible through a successful crowdfunding campaign on Indiegogo. We’d like to say a huge thanks to everyone who contributed to the campaign – we hope you’re as happy as we are with the result! The video went into production in May 2014. Filmmaker Pablo Zanón gathered together some willing volunteers and shot the live action elements – the people talking in the Record Audio and Record Video sections. These shots were digitally manipulated to create the distinctive silhouette style and further augmented with the animated ‘speech streams’ and recording devices by animator and designer extraordinaire Tom Leisz. The thinking behind this visualization of the recording process was to make it easy for speakers of all languages to understand that everyone can contribute to the website as well as exploring and enjoying the existing content. We hope you enjoy the video and it inspires you to add your recordings to Language Landscape. We already have recordings of over 190 languages and dialects mapped where they happened all around the world, but we need your help to build a better map of the world’s linguistic diversity. Please sign up for an account and start mapping your languages today! This entry was posted in Uncategorized on 17 November, 2014 by Sandy Ritchie. After successfully launching the 1.0 version of the website, we started looking for new ideas on how to improve Language Landscape. Because of the feedback we were getting about the upload process, we decided we should explain it better. This is how the idea of the Do It Video emerged. DIV will be a short, animated clip, explaining how to contribute recordings to the website. The use of language will be limited to the minimum, in order to make it accessible to people from all linguistic backgrounds. To make the shooting process simple and cheap, we will record actors’ silhouettes on greenscreen and add effects and animations to that image showing people uploading recordings to the Language Landscape using different types of devices (see picture below). The images will be accompanied by a soundtrack composed specially for the DIV. The idea is simple, but we still need some resources to make it happen. That is why some time ago we have launched a crowd funding campaign: https://www.indiegogo.com/projects/language-landscape-do-it-video . So far, we’ve managed to raise almost 50% of our intended goal. This is great, but the campaign will be ending in 5 days, and the other 50% is still missing. Please spread the word about it and support us, and soon you will see Language Landscape getting even better with our great animated DIY. Also, a massive thank you to all those who have supported the campaign so far! This entry was posted in Uncategorized on 30 April, 2014 by Karolina Grzech. 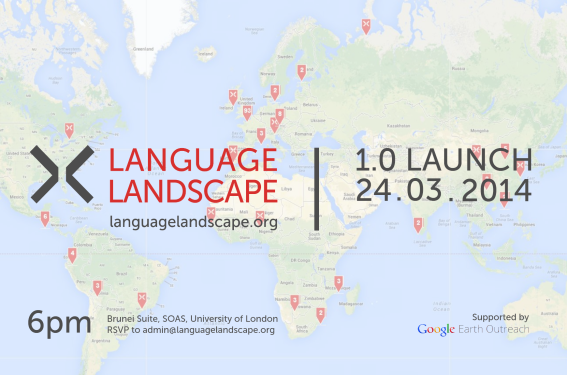 We’re launching the first public release version of Language Landscape (1.0) in the Brunei Gallery at SOAS, University of London at 6pm on Monday 24 March 2014. This public event will be an opportunity for everyone to hear more about the new features of the website and also to learn about our outreach programmes. If you can’t make it to the launch, you can read about the new features of the website here and about our outreach work here and here. In this post we’ll give you a bit more of a flavour of what will be happening on the night to whet your appetite. We’ll be doing a live demonstration of some of the new features of the website and talking about our outreach programmes. We’ll also show a video about our outreach projects. Alongside the live demonstration, you’ll also have the chance to try out the new features on the site. Volunteers will be on hand throughout the evening to answer any questions you might have and help you get set up with an account for the site. We’re also proud to announce that Tom Castle, an artist and technician in the Endangered Languages Archive at SOAS, will be presenting two installations during the event. “Departures” is an installation documenting the prison time given for homosexual activity in different parts of the world. The second is a new piece echoing the qualities and form of Language Landscape which deals with the “Euston Area Plan”: the proposal for the destruction & construction of Euston and surrounding residential areas. Throughout the evening we’ll also be encouraging attendees to tweet us their favourite word in any language using the #favouriteword hashtag. We’ll also be selling raffle tickets with a very exciting first prize: the winner and a friend will be invited for breakfast at Google’s London offices. The Google Earth Outreach Developer Grant programme funded the development of Language Landscape 1.0 and we’re very happy to be able to offer this chance for someone to gain an insight into one of the web’s biggest companies. If you would like to attend the launch, please RSVP to admin@languagelandscape.org. If you have any questions about the event or about Language Landscape more generally please get in touch at the same address or via Twitter or Facebook. We’re looking forward to meeting as many of you as possible and helping you to map your language! This entry was posted in Uncategorized on 18 March, 2014 by Sandy Ritchie. What can I say? It’s not the most useful piece of advice – at least not if you have already celebrated your eighth birthday. But there is some truth in it. Young children learn languages quickly. Annoyingly quickly. And seemingly without much effort. This may surprise you, though – they can learn about languages just as quickly, and they can have fun whilst they do it. To find this out, the Language Landscape team embarked upon a project with a school in East London. I think of it as more like an experiment… what happens when you put six incurably passionate linguists in a language class with about twenty children? The answer? Oddly enough, chemistry! No, no, put away your test tubes and Bunsen burner, all I mean is that the kids learnt a lot, we learnt a lot, everyone had a good time and we should do it all again. That doesn’t sound like chemistry to you? Well read on, here’s the formula that made it all work. We prepared an eight week timetable, going into the school every Tuesday afternoon. This one precious hour every week was all we had with our young participants, so we made the most of it. Every minute was planned with language-related activities. We had achievable learning outcomes for every session, but we also wanted to give them a taste of managing a language project over several weeks. Assembling them into groups, they defined their projects (for example, one project was to record songs in languages other than English from people in the school). Then they divided up responsibilities, and off they went! Each week we made step-by-step progress towards these projects, and it culminated in the groups visiting our university and presenting their work to an audience of academics. 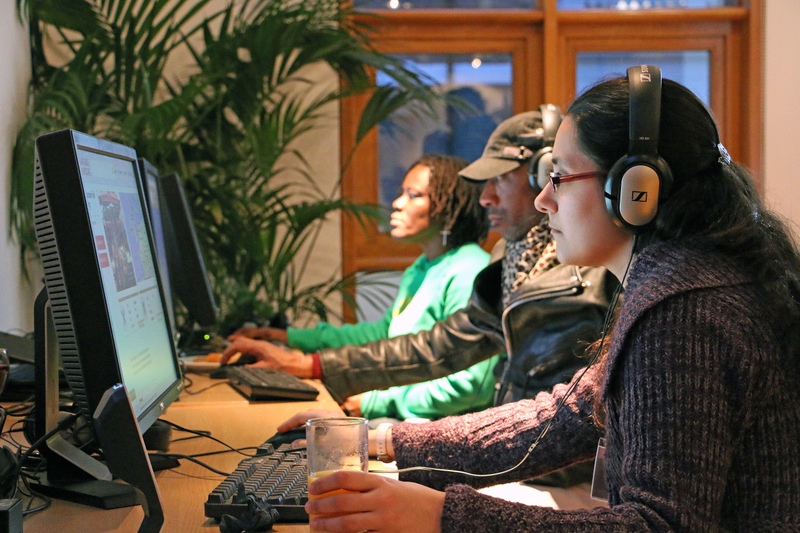 You can even hear some of their recordings on the Language Landscape Bow School Project page. To deliver a jam-packed and enjoyable day for them, we also arranged a debate on the topic of endangered languages, which they fully participated in, and even had time for a language taster session (Swahili, in this case) which was very popular. Judging by how engaged and enthusiastic the schoolboys were on this last day, it can be difficult to remember how far we’d come. When we first arrived at the school, forewarned that over 80% of the school are “Disadvantaged pupils”, we were told not to expect an easy ride. We also didn’t want to expect too much prior knowledge, at least in the specialist field of linguistics. What can I say? We were surprised on both counts. The whole class won our hearts and minds with the energy they put into every task we put in front of them. Okay, sometimes that energy needed some help to… ahem… redirect to the task at hand, but the groups certainly achieved a great deal, and that’s really down to their hard work. Also, only a fifth of the school’s pupils have English as a first language – many speak another language at home. So there we were, in a room full of bilinguals, the majority of them working on a third or fourth language at school. In their own way, these were veritable language experts! One of the most important changes I noticed was how attitudes to their home languages were affected. Think about this for a moment – can you imagine speaking another language in addition to English, totally fluently, and consider it a hindrance? That is exactly what we observed in our class. By the end of our workshops, this had turned into recognition of multilingualism as the asset that we at Language Landscape believe it to be. Of course, that was also a great confidence boost for lots of participants, and some were taking a more visible pride in their heritage. Result! There was a lot going on to make this project work, and if you want to learn more, check out this little video we put together. This entry was posted in Uncategorized on 25 February, 2014 by Zander Zambas. Mapping languages is a unique challenge, because they have certain characteristics which make it difficult to represent them as a static overlay on a map of the landscape. In this post for Mother Language Day, we’ll look at some of these characteristics and consider how different types of language maps attempt to record them. Languages are often characterised as complex communication systems which are spoken by a monolingual community spread over a continuous geographical region. An interesting alternative view is to think of languages as communities of practice, like sports teams or book clubs. Under this view, languages are the products of loose associations of individuals who develop certain shared ways of doing and talking about things. Crucially, however, individuals who participate in such communities may retain certain ways of talking which don’t fit with the community’s standards, and they may also participate in other communities of practice and adopt and be influenced by their standards. If we accept this conception of languages, the challenge of mapping them becomes clear: how do you define the boundaries of a language, both socially and geographically, when individuals may move freely between different places and speak different languages, dialects and registers, even in the course of a single day? The answer to this question will not be a simple one, and yet it’s a challenge worth addressing. A good language map should be a comprehensive record of the geographical spread of the language’s community of practice. It should also take into account the fact that certain places may be occupied simultaneously by other communities of practice, and that individuals within each community may also participate in other communities, either in that place or elsewhere. To put it more simply, a good language map should record the complex relationships between people, places and languages. 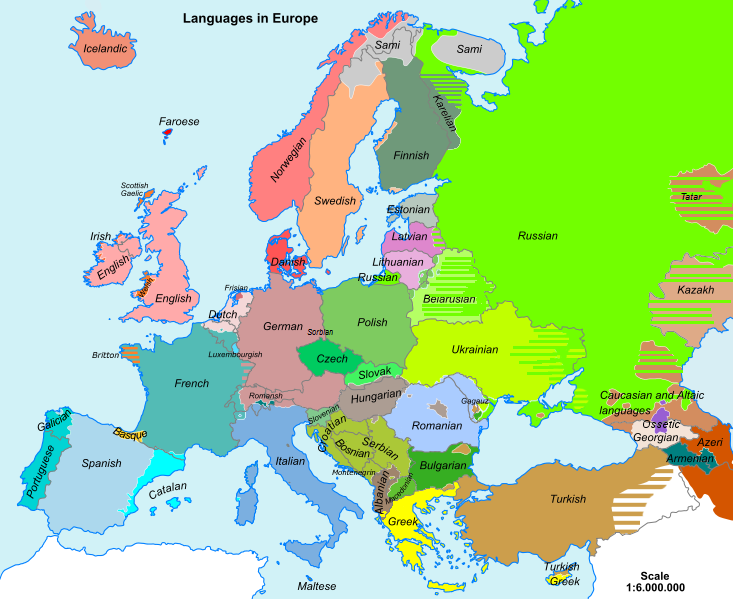 While this map gives us a good general idea of the approximate locations of the major languages, it is woefully inaccurate as a record of the actual spread of languages in Europe. It does not record many smaller languages or varieties of larger languages, it does not record the movement of people around the continent, and it does not record individuals and their relationship to the various language communities that they participate in. Geographical language boundaries in this type of map are also depicted as similar to political boundaries, with only some very general overlaps recorded with the use of cross hatching. It is perhaps a bit unfair to pick on such a broad scale map, as some distortions are necessary in order to keep it relatively uncluttered. But the problems inherent in traditional methods of language mapping are made clear by this example. Similar problems also occur when points are used to represent entire languages. Where, for example, should we place the point for English given its global distribution? In order to make better language maps, we need to develop a more sophisticated approach. This can be achieved by modelling the relationships between people, places and languages in a more fine-grained way, and thinking of a different approach to recording these relationships. The method we have come up with for Language Landscape is to use audio and video recordings as the basic point of intersection between person, place and language. As long as the person who made the recording collected accurate information at the time, with a recording we can be sure that at that time, in that place, that individual said something in that language. The recording is therefore a small piece of evidence about the relationship of a language to a place and to the individual that spoke it. Mapping that recording along with information about the language and speaker is therefore one contribution to the map of that language. Repeating the process with every person who speaks that language would result in a comprehensive map of the language. Of course, in most cases, persuading all speakers of a language to contribute to such a map would be unfeasible. This is especially true for larger languages, though with smaller communities of tens or hundreds of individuals it may well be possible. The difficulty of persuading people to map their recordings is the principal reason why traditional language maps like the one above still have their place, as they provide useful information without the need for lots of people to contribute. The problems inherent in them still stand, however, and it is intriguing to imagine what we might discover about the complex relationships between languages, people and places if more people contributed recordings to the Language Landscape map. So on Mother Language Day, we encourage you to represent your mother languages on Language Landscape and help to build a better record of all the places they are spoken around the world. This entry was posted in Uncategorized on 21 February, 2014 by Sandy Ritchie.